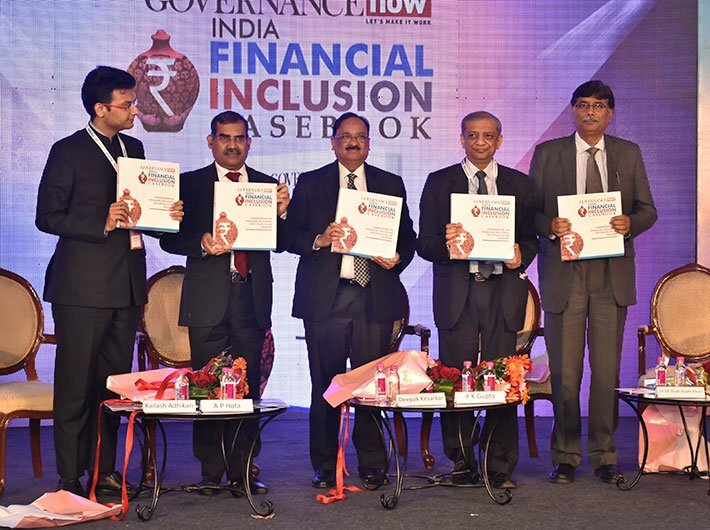 “Demonetisation has created an entire system of digitisation and financial inclusion,” said PK Gupta, managing director (Retail and Digital Banking), State Bank of India, at the launch of the Governance Now India Financial Inclusion Case Book in Mumbai on Friday. He further stated though there are targets yet to be achieved, approximately 30 crores accounts have been opened in under Jan-Dhan Yojana. Out of these, 10 crores accounts are with SBI. Apart from this the bank has 60,000 banking correspondents. The number of zero bank accounts is less than 20 percent. Gupta told the gathering that the bank runs 338 financial literacy centres and has trained 42 lakh people so far. It is also running 151 rural self-employment training institutes which have trained 5.37 lakh people. About 3.5 lakh of these people have now self-employed. SBI is now looking at giving loans of Rs 20,000- 25,000 lakhs under Swachh Bharat for the construction of toilets. He said that financial access is being provided with 1,26,000 fixed point and 3 lakh business correspondents. “Though people are aware of facilities available in banking system and government schemes, real success will come only when their livelihood improves because of financial access and they stop their dependence on non-institutional channels." Emphasising on the access to rural healthcare, Hota said that the existing government schemes have to be refined for ‘health for all’. “The next stage of financial inclusion should work in close combination with development machinery in rural areas. Putting all the burden of financial inclusion on banks is not right and it is time to see that the government and banking system work together to see that there is improvement in people’s life,” he said. Speakers from various public and private banks, cooperative banks and digital solution providers were present in the event.